If you’re in the photography business, you should already understand the importance of service before and after the sale. It can be a cutthroat industry, and there is certainly a lot of competition. Often, what comes down to you getting another gig is how you treat your clients throughout the process of working with them. The hard part is knowing what you can do to give your clients the amazing customer service experience they want and that you need to give to get their repeat business. We’ve got three sure-fire approaches that will help you do just that. What are the names and birthdays of everyone involved? What’s a fun fact about each person involved? How do you intend to display your photos (online, album, large prints, etc.)? Have you seen any of our past sessions that you especially liked? Questions like these serve several purposes. First, you get some information about each person so that you can make it a more personal experience for them. Second, you find out a little bit about what they like and need, that way you can tailor their session to those specific desires. And, lastly, it gives you an opportunity to stay in touch well after the session is over and the images have been delivered. Knowing each person’s birthday gives you a way to touch base and demonstrate your thoughtfulness at various points throughout the year. That kind of continuing contact (that isn’t overtly sales-oriented) can go a long way in establishing someone as a long-term client. 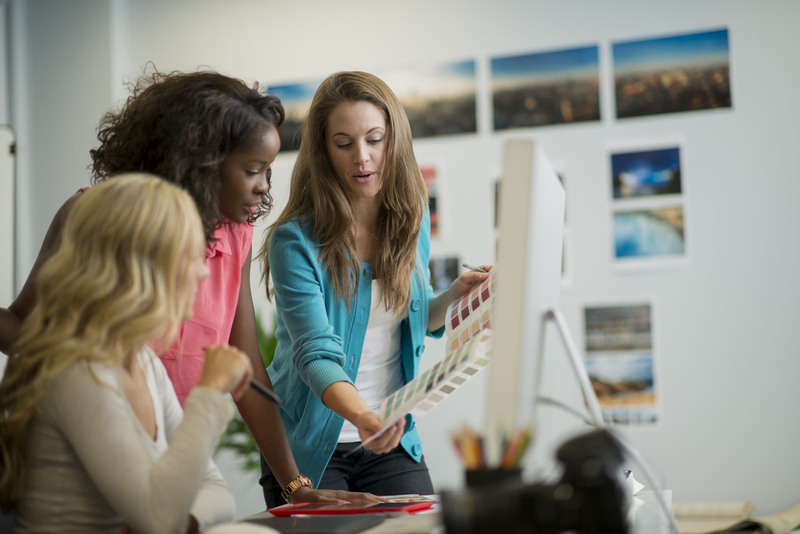 Your images are certainly the most important aspect of what you deliver to your clients. But, just like it’s important to develop an understanding of who your client is, so too is how you deliver your images. Think about it this way - when you receive a package that’s very well done with touches that obviously took time, you pause to consider how gorgeous it is and think “Wow!” Giving your clients a wow moment is easy to do if you present them with top-notch packaging. 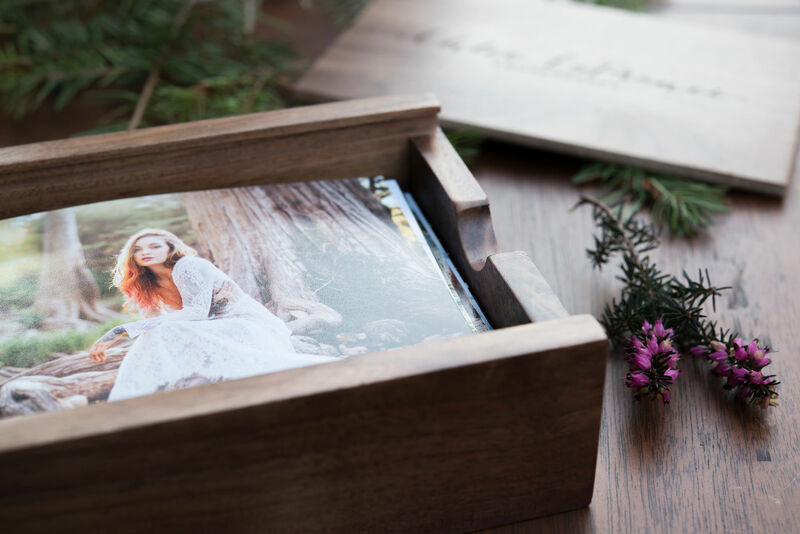 One of our favorite ways to do that is with an engraved photo box from Hanging Branch. These gorgeous boxes are built by experts, so they aren’t just another wood box - they’re something your client can cherish for years to come. Send the box to your client filled with prints or just use it as a nice thank you gift when you deliver their images to them. You can even have an engraved wood USB included as well! Either way, you can have the box engraved to show a little extra thoughtfulness, or you can use the box as a little advertising for yourself and have your business name engraved on the front. Having a display of Hanging Branch products in your studio or office space is sure to draw the attention of your clients because of the gorgeous craftsmanship that goes into creating each product. Plus, giving them an opportunity to see and touch these items gives you a chance to talk about the quality of your other products. You could even offer Hanging Branch boxes as part of your photo packages as a way to go the extra mile in terms of service. No matter how you incorporate these kinds of details in your packaging, it’s sure to pay off in the end. The more you do to give your clients what they want, and the more they feel you’ve gone above and beyond for them, the more likely they are to be a long-term, satisfied customer. Delivering your prints with a gorgeously packaged product will certainly help you achieve that end. Feedback these days has never been easier for clients to give. The popularity of online review websites has given rise to more power of persuasion being in the hands of your clients. That is, if they offer you a good review, others are likely to listen to them and give you a try. Of course, if others see that past clients have left a negative review, it will have a negative impact on your business. As a result, it’s important for you to constantly seek out ways to improve, and one of the best ways you can do that is solicit feedback from your clients. This goes beyond merely asking if they liked working with you. Instead, you should solicit more specific feedback, asking not just what they liked, but what you can do better. The idea here is that you have a constant stream of feedback coming in from every client that will inform you as to what you’re doing well and what needs work. Not only does that allow you to address your weak points, but, hopefully, it will also help keep any negative reviews from being left online. 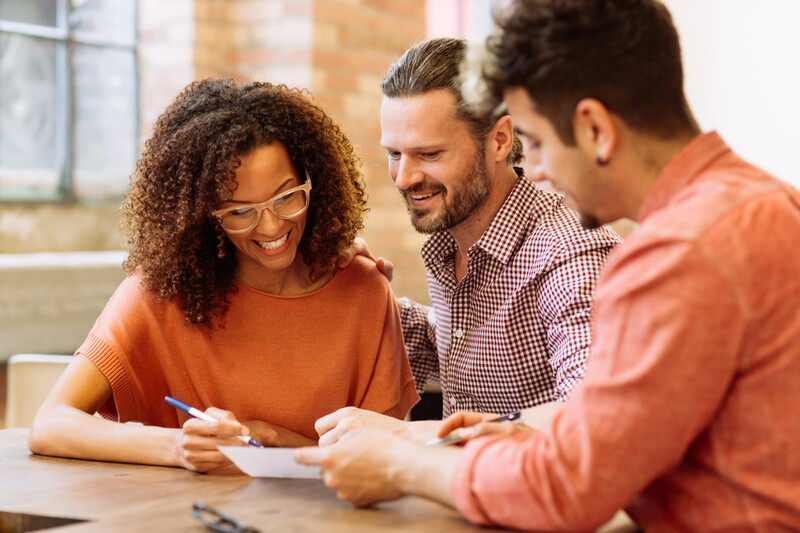 In the end, getting feedback will help you learn and grow, and as a result of that, you’ll be able to offer an improved experience to your clients. Combined with gorgeous packaging and informative questionnaires, you’ll have all the firepower you need to wow your clients and keep them coming back for more.